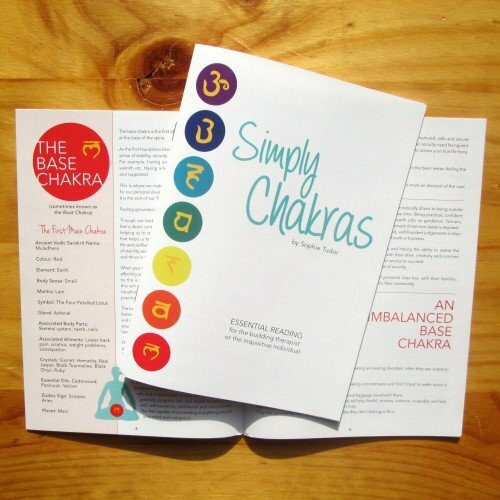 Chakra information booklet, ‘Simply Chakras’, is my own design and production. Its small size makes it a very handy guide. Being A5, it’s easy to carry with you while studying. Besides that, this versatile guide has 24 pages in full colour, printed onto 135g/m paper. You will find sections including an introduction, general chakra info and then more in depth information. Your “chakra information booklet” will therefore help you to learn about your seven main chakras. As a result, you will then learn to recognise imbalance within the seven main chakras. So, I hope you find it helpful. This guide is packed with info and handy tips, therefore it’s a great way to start exploring your chakras. Fantastic summary booklet of main Chakras and their points. Easy to read and laid out well to quickly find what you need. Very quick delivery and great service. Love this chakra summary booklet. Beautiful colours and lovely quality.